It’s hard to believe that the 9/11 tragedy was almost 20 years ago. While I can still remember it vividly (I was a grad student living in Madison, Wisconsin at the time) and can tell you EVERYTHING I did on that day, my son (born in 2004) knew nothing at all on September 11th until he asked me about it several years ago during a newscast. Like many parents, there’s always a desire to shelter my child from the knowledge of bad things–mass murders, school shootings, stories of innocence gone, war, terrorist attacks. I had been waiting until he was an “appropriate” age to tell him specifically about 9/11. However, when he was 5 1/2 years old, he brazenly asked on his own. This book sets out to answer why it is important for the next generation of kids to understand this particular tragedy. Its a pretty good book, told through the eyes of Deja, a whip-smart 5th grader who lives in a homeless shelter with her parents and her siblings. Her father has no job and has headaches and severe anxiety around buildings, and her parents refuse to tell her why. 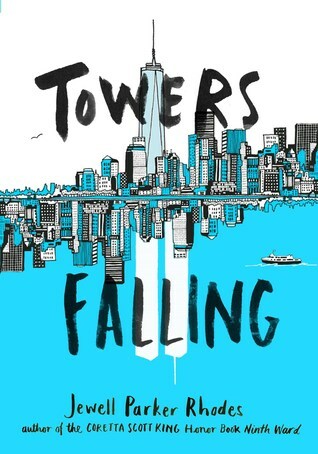 With two of her school friends, she uncovers the truth about 9/11 and exactly why her father experiences nightmares. It’s an ok premise, but I felt like this story kind of lacked. Why is a 10 or 11 year old child growing up smack dab in the middle of Brooklyn never once heard of 9/11 before? With radio and television and live memorial services and the internet, I thought this was kind of weird. I’m willing to suspend some degree of disbelief to accommodate this notion, but Deja’s complete naivete of any and everything just seemed kind of ‘false’ to me. But I dunno though…this is a kid’s book, so maybe I’m being too analytical here. Pardon me. I’d recommend this book for middle grade readers, 3-5 grades.